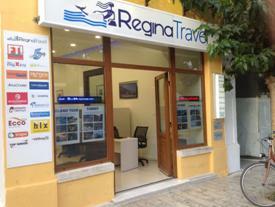 Regina Travel is a Destination Management Company (DMC) / Incoming Travel Agency on Samos island with head office in the centre of Pythagorio. Established in 1986 and with 3 decades of experience, the agency can provide you all kinds of tourism and transportation services. The company has on its disposal 50 –seater and 20-seater modern buses to offer high quality services. Our young and dynamic team, well experienced in the travel business, make our agency efficient as possible. Our long presence in the tourism business of Samos helps the agency in having a large selection of rooms and apartments all over the island. 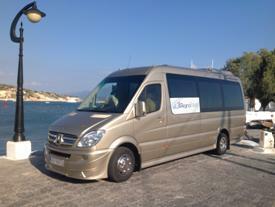 Additionally, In cooperation with "Sixt" we control the largest car rental fleet on the island. We are certain that if the island of Samos is included in your program it will be a very big success! Kindly do not hesitate to contact us for any further information you might like to have. Daily Trips to Patmos & Turkey (Ephesus).